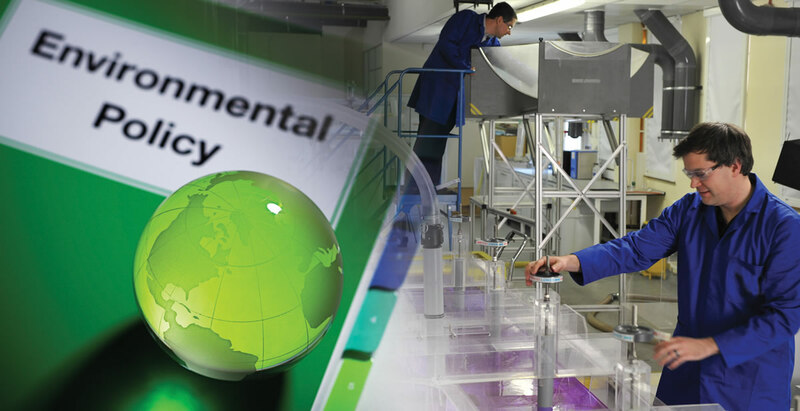 The Materials Processing Institute is committed to mimimising the environmental impact of operations and products through the adoption of sustainable practices and continuous improvements in environmental performance and meeting the requirements of BS EN 14001:2015. Effective environmental and energy management systems will be implemented and maintained and these will ensure the environmental awareness of the workforce, encouraging employees to act in an environmentally responsible manner. The Institute is committed to the prevention of pollution. The environmental impact of processes and products will be assessed and continuous improvement objectives and targets will be established. These will be achieved through process optimisation and through research and deployment of new technologies where opportunities present themselves. The Institute will be part of the solution to climate change researching breakthrough technologies and developing products that help to reduce emissions from the rest of society. This will include a range of measures for developing sustainable processes, products and technologies. Efficient use will be made of energy, raw materials and water through adoption and sharing of good practice. The reuse and recycling of the Institute’s outputs will be promoted. Environmental and energy performance will be monitored and progress in meeting policy objectives and improvement targets will be reported. Key suppliers and contractors will be encouraged to behave in an environmentally responsible manner and to abide by principles similar to those set out within this Policy. Communities in the locality of the campus will be actively engaged by the Institute so that it can understand and seek to address their concerns in relation to environmental issues. Wildlife habitats in and around the campus will be respected and, where opportunities arise to do so in a way that is conducive to business operations, they will be progressively enhanced for the benefit of nature.